“Mustang Sally, think you better slow your mustang down … you been running all over the town. All you want to do is ride around Sally; ride, Sally, ride!” goes Mack Rice’s R&B anthem of 1965. The song was allegedly penned as a joke after singer Della Reese wanted a new Ford Mustang. But the latest model is no joke. Automobile behemoth Ford have launched their newest Mustang coupe, and in addition to some impressive statistics, it’s worth a lot more than the company’s first model from 1964. Hearts were pounding and bidders were on the edges of their seats at the Barrett-Jackson auction in Scottsdale, Arizona. 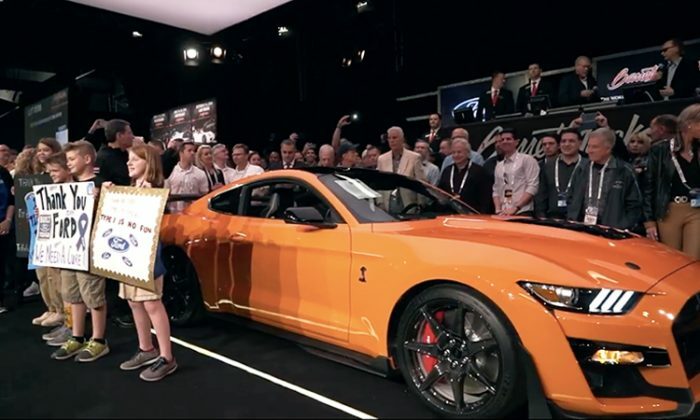 The auction, held on Saturday night, offered up the first 2020 Mustang Shelby GT500, which eventually sold to the highest bidder for a whopping US$1.1 million. A fully functional prototype was demonstrated to awe-struck crowds. But it wasn’t all big cars and big money. To add dimension to the proceedings, the slot was being auctioned by Ford in a benevolent gesture to raise funds for the Juvenile Diabetes Research Foundation. The worthy organization will benefit from all monetary proceeds. 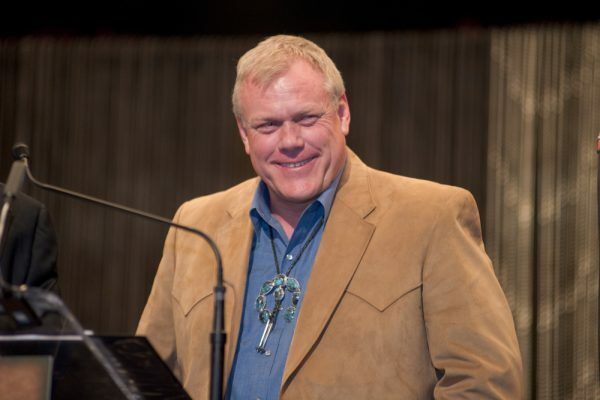 Craig Jackson, owner of Barrett-Jackson auctioneers, placed the winning bid himself. It’s no secret that Jackson is a huge Mustang fan and dedicated collector; he already owns several historic GT500 models. Jackson’s $1.1 million bid proved to be the second highest price ever paid for a Mustang at auction. Fox News reported that a 1967 Shelby GT500 “Super Snake” went for $2.2 million at auction the previous weekend. That’s double Jackson’s payout. The auction prototype of the 2020 Mustang Shelby GT500 was a show-stopping yellow; however, Jackson will be able to order whatever configuration and color he likes when he cashes in on his auction win. And now for the gear heads: The new GT500 features a 5.2-liter V8 with over 700 horsepower. “It can cover a quarter-mile in under 11 seconds,” Ford say, making it one of the quickest cars in the world. The model was unveiled to enthusiastic crowds at the Detroit Auto Show earlier in the week. The Barrett-Jackson auction was a field day for car lovers. In addition to the astonishing Shelby GT500 bid, the auction showcased the first pre-production Mustang coupe, a 1964 model, hand built at the Ford Pilot Plant. Only three survive. For the sake of conscientious historical accuracy, the ’64 model was used during the filming of the upcoming “Ford v.Ferrari” film directed by James Mangold, released this year. Hold your breath. It sold for $192,500. Are you a gear head? 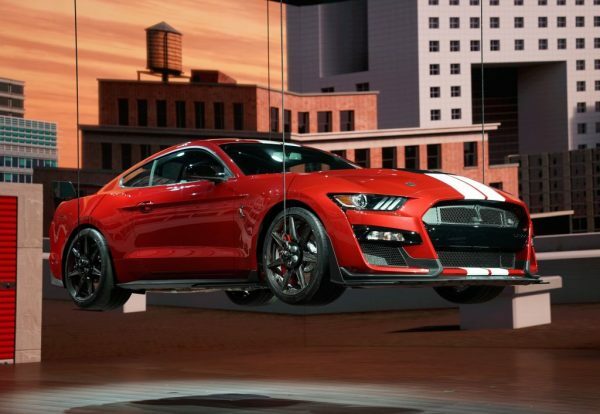 Is the new Mustang Shelby worth $1.1million? Let us know! Fifty years after it started an automotive revolution with the Mustang Ford has announced a Fiftieth Anniversary Limited Edition version of the iconic auto.